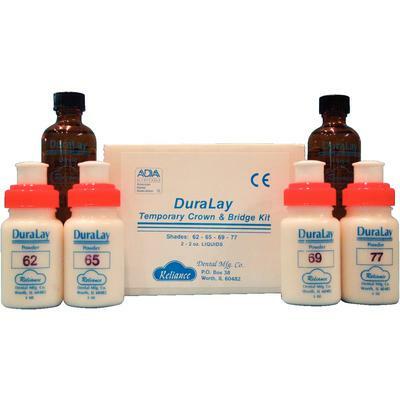 Duralay Temporary Crown & Bridge (C&B) Kit is a self-curing tooth-shaded acrylic. An inlay pattern resin, it sets in 4-5 minutes. Duralay forms a dense, accurate, nonshrinking pattern that can be trimmed, handled and invested without fear of breakage, chipping, distortion or temperature changes. Duralay also burns out at the same temperature as wax and leaves no residue.